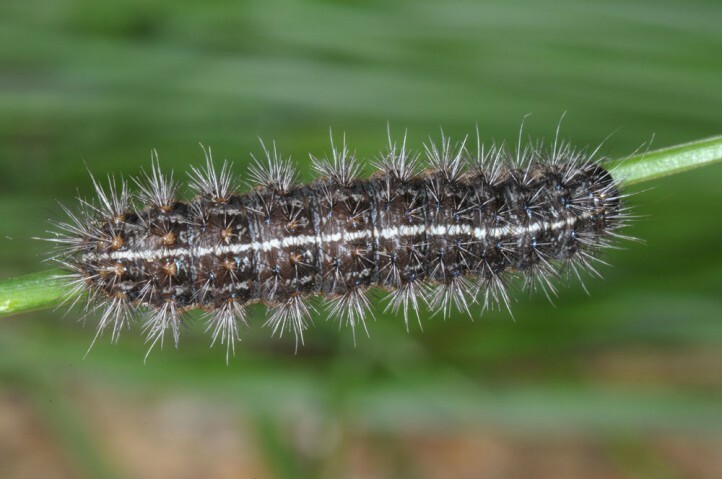 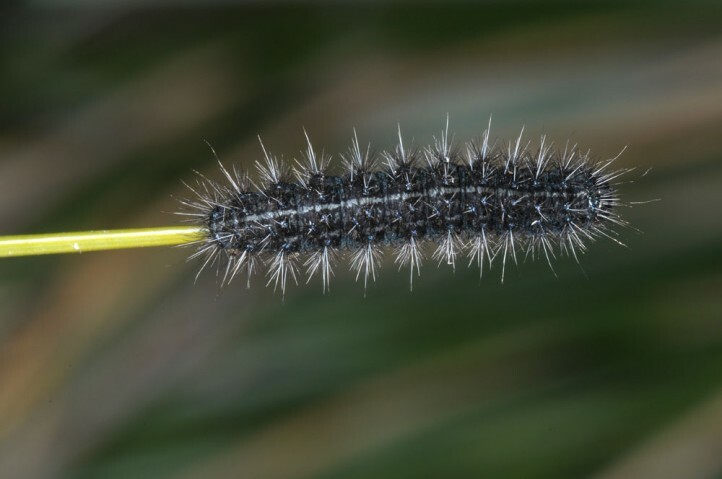 I recorded the larvae on Stipa tenacissima near Madrid (Aranjuez). 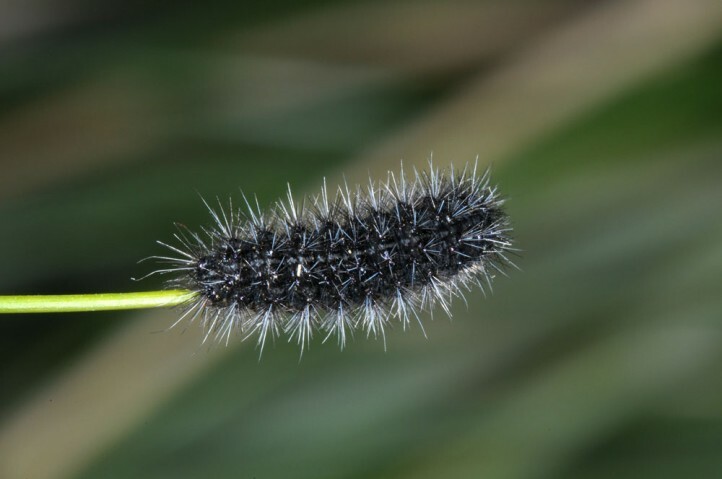 Possibly also other hard-leaved grasses my be used in other regions. 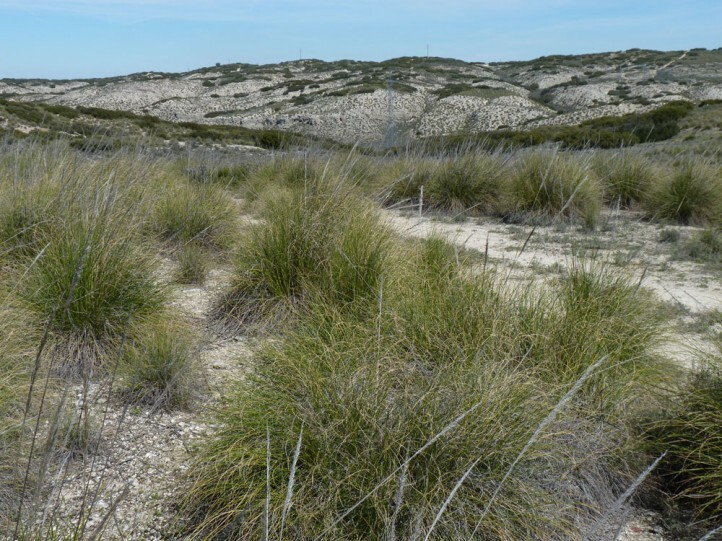 Coscinia romeii inhabits semi-arid steppes and hot dry slopes. 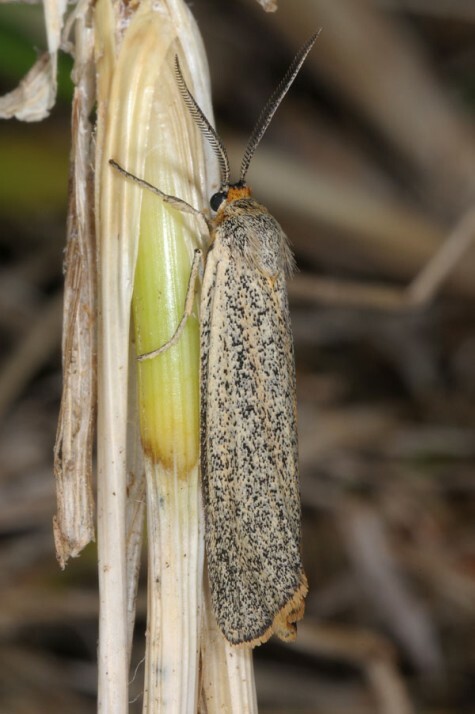 The moths occur in one generation in autumn. 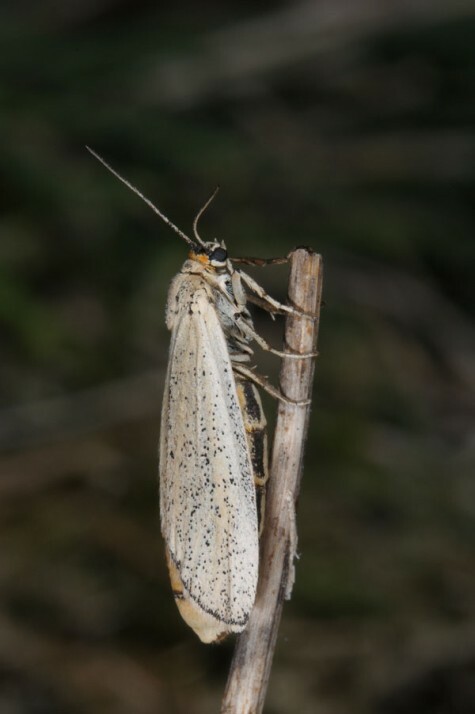 Females have shortened wings and can hardly fly. 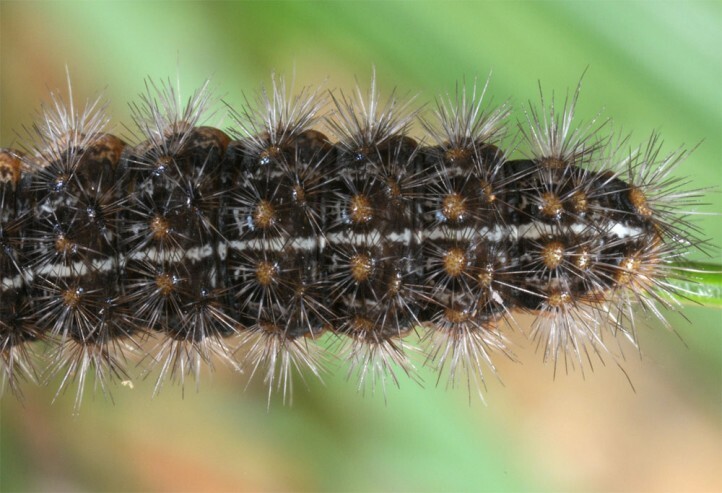 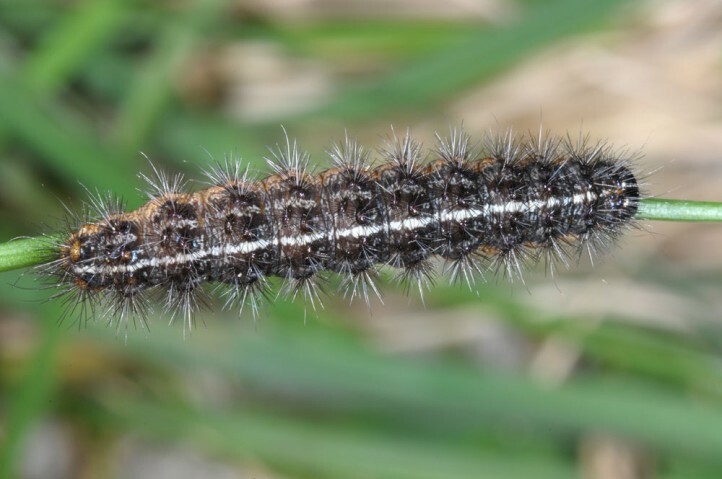 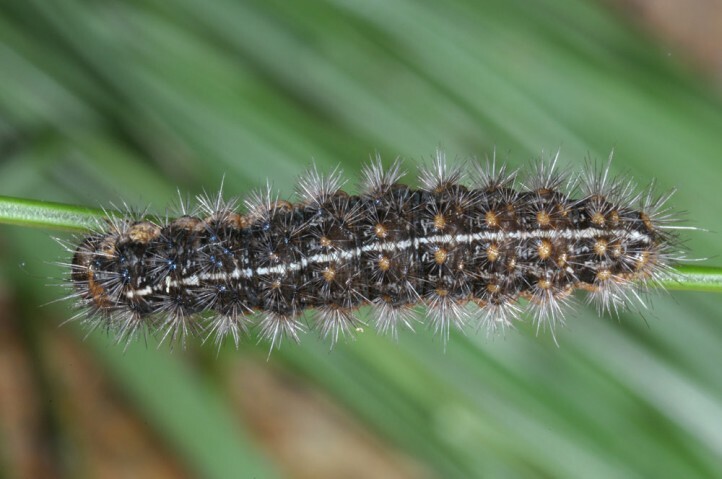 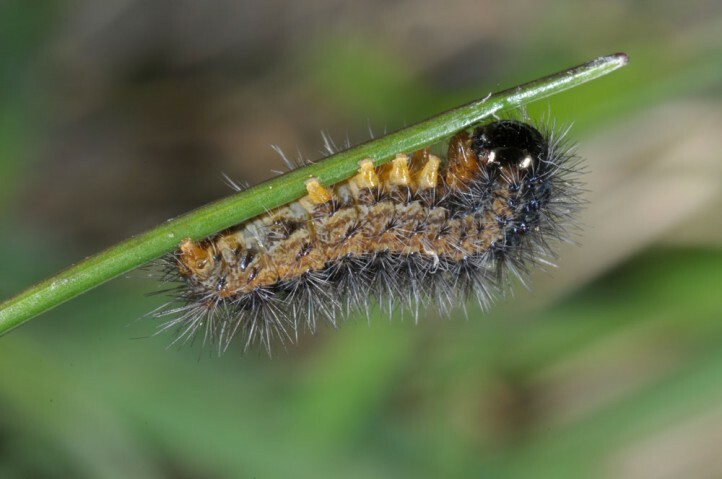 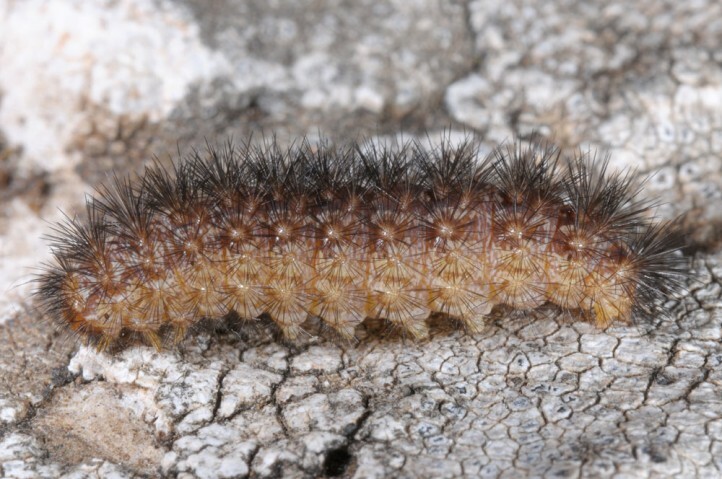 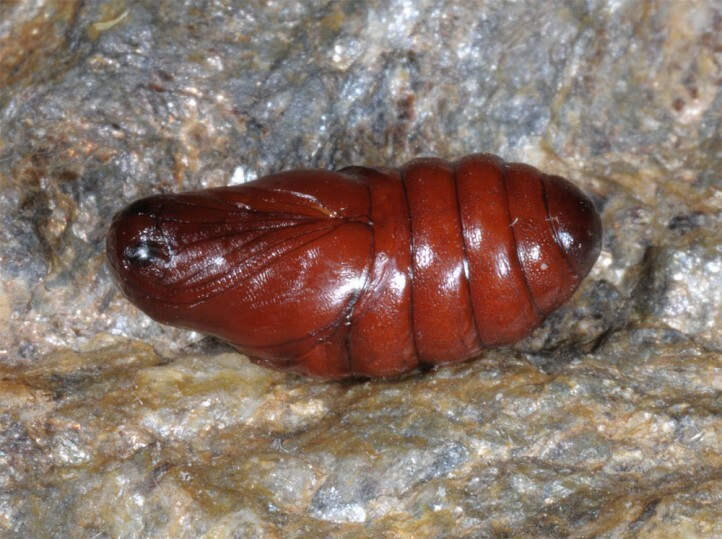 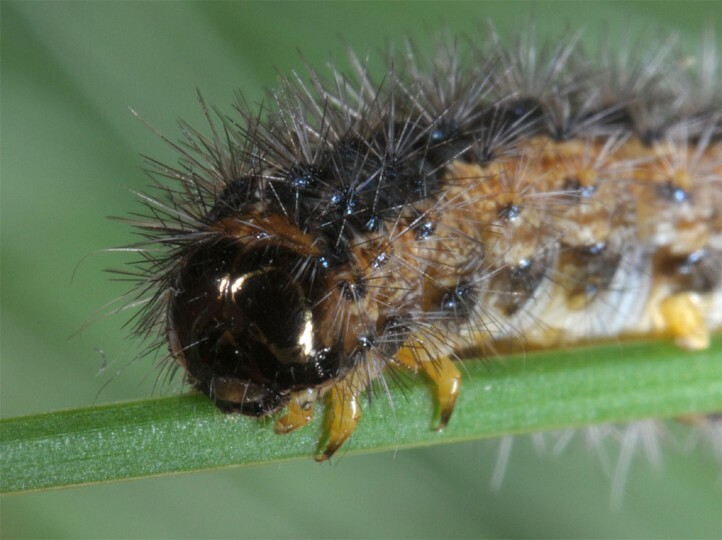 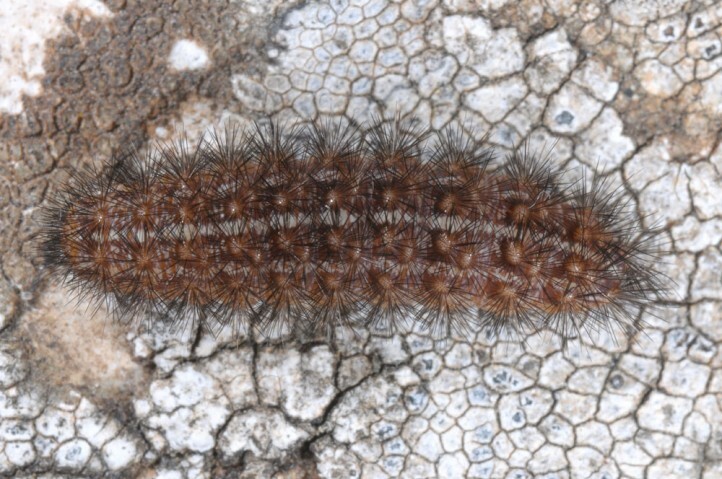 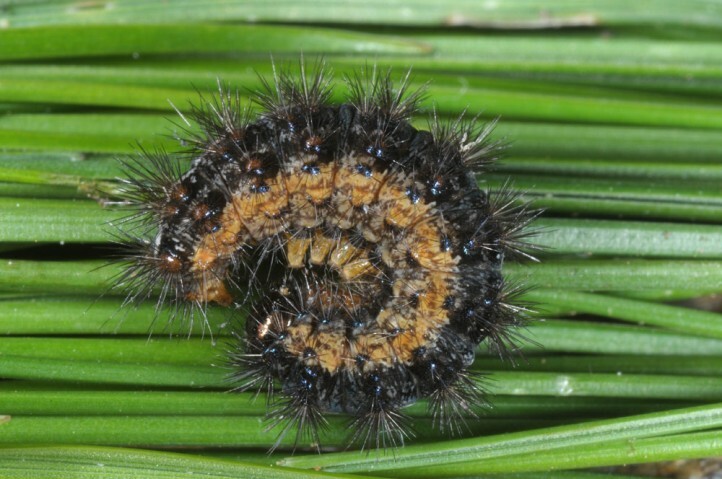 The larvae develop between late autumn to May. 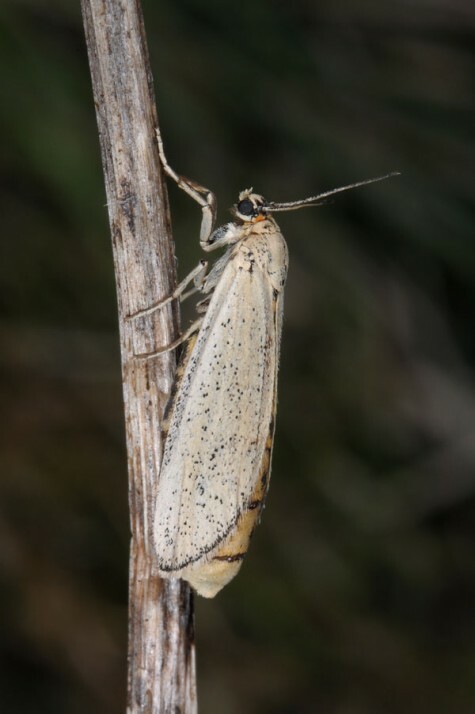 I found them still small to half-grown in Central Spain near Aranjuez in late March 2015. 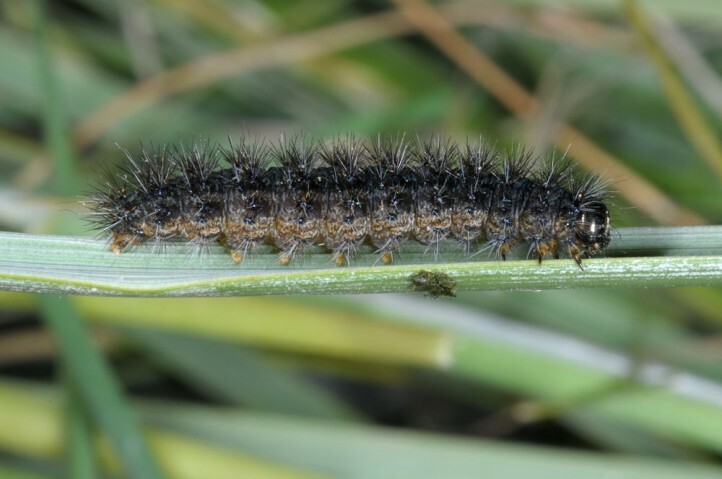 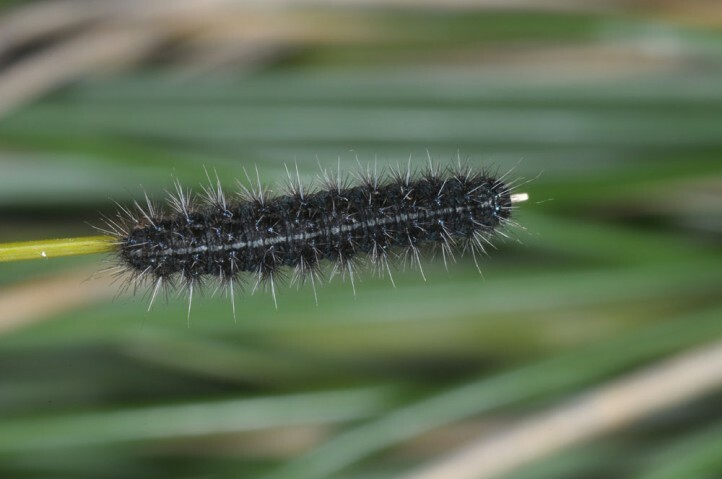 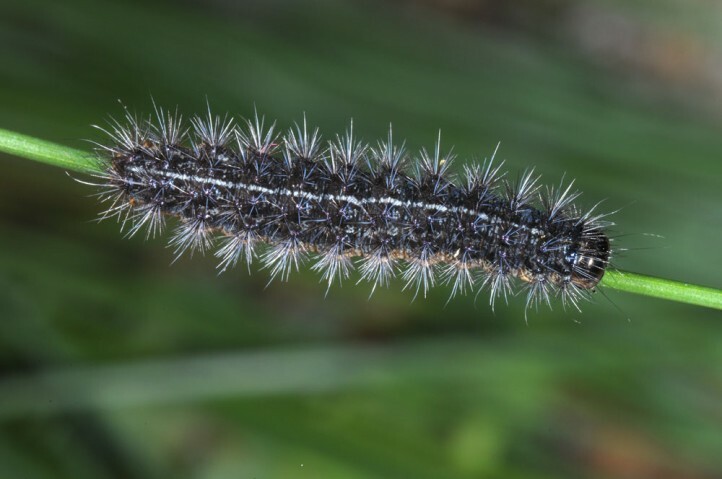 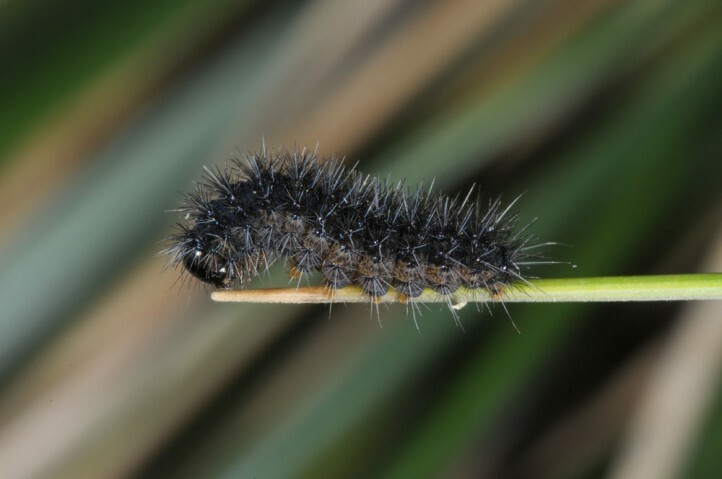 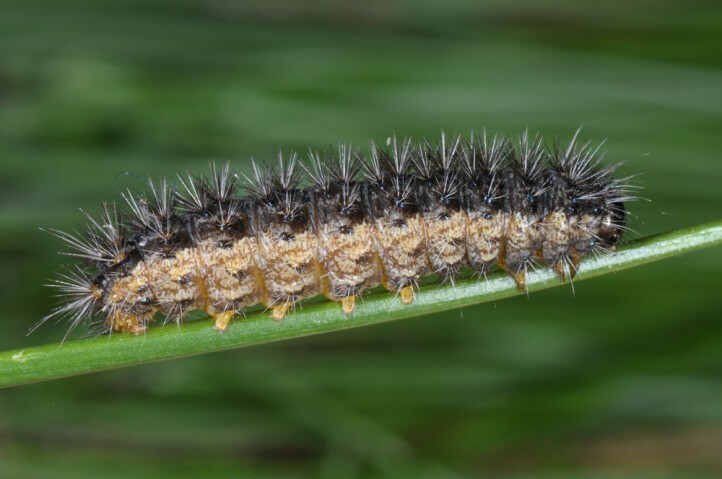 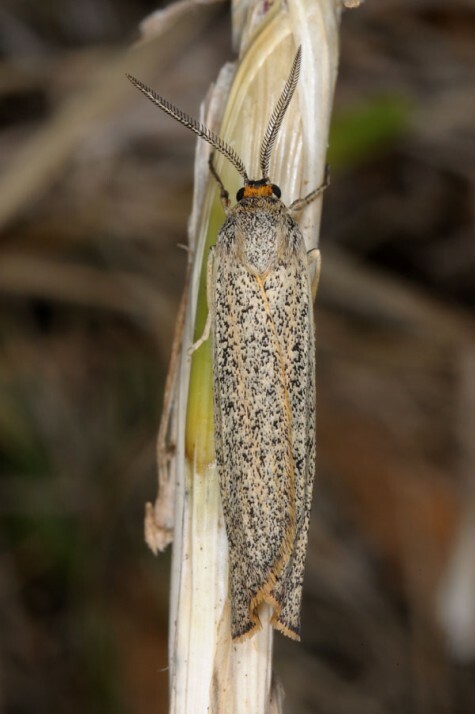 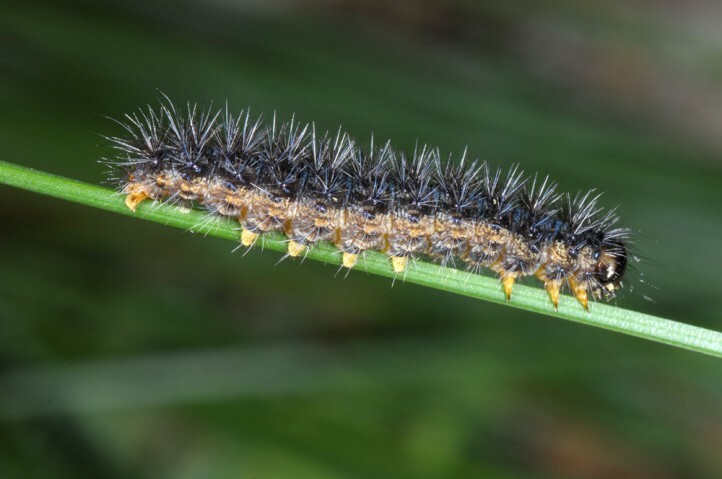 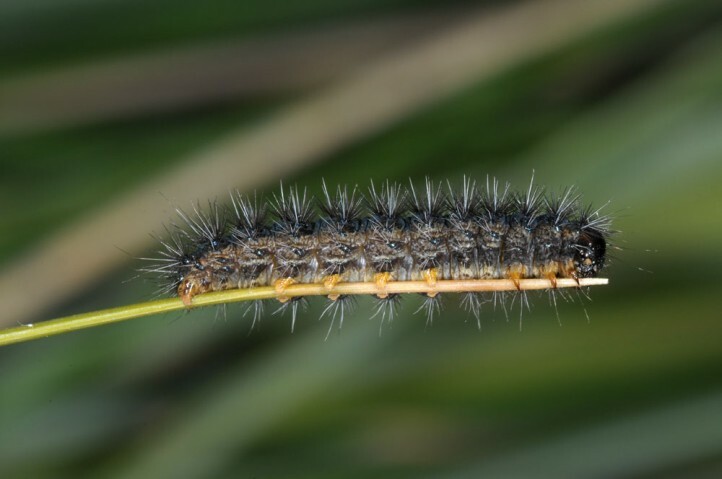 The larvae rested in sunshine on the hard leaves of Stipa tenacissima and ate from time to time. 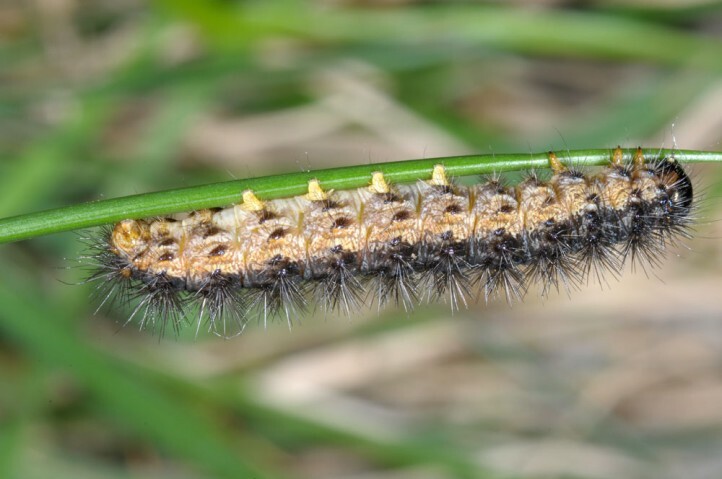 Mature larvae will moult one last time. 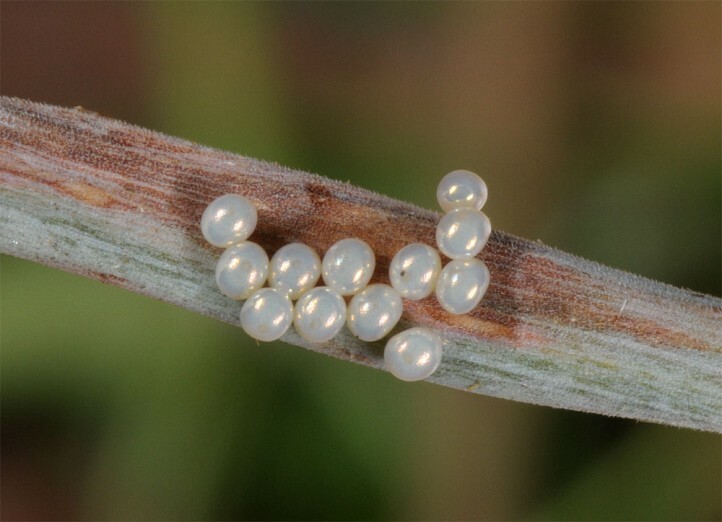 Then they are much lighter than before, but eat no more. 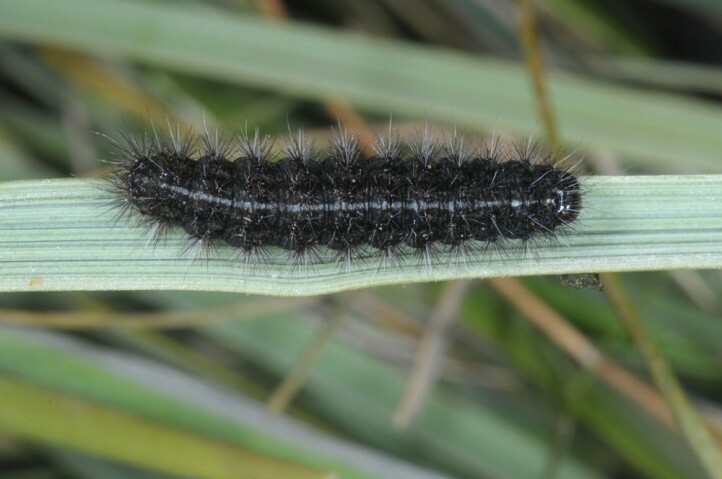 They estivate in this surely thicker special skin and have to cope with drought and very high temperatures. 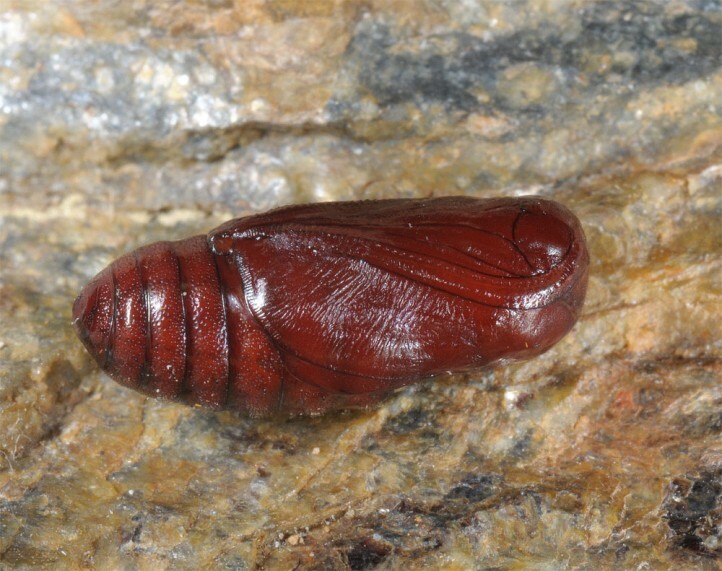 In late summer or autumn they pupate without or only in a very thin cocoon. 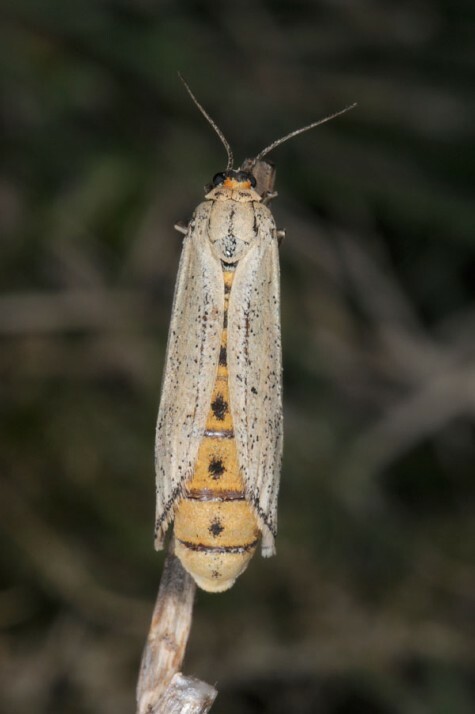 This dormancy skin is a very special strategy for surviving summer drought in semi-arid climate. 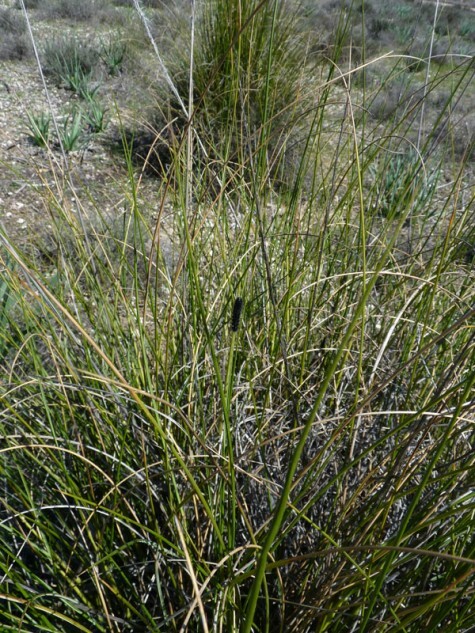 Coscinia romeii is locally endangered. 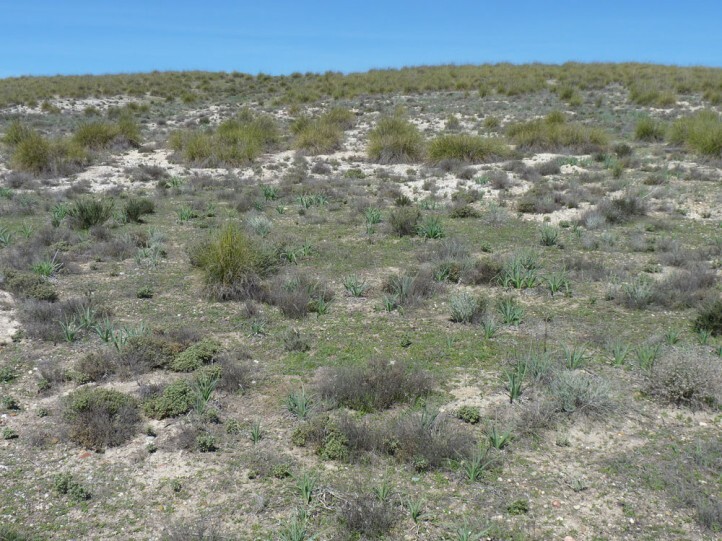 Near Aranjuez a part of the habitat is now protected by law, but others have been and are still destroyed by industrialization and new streets. 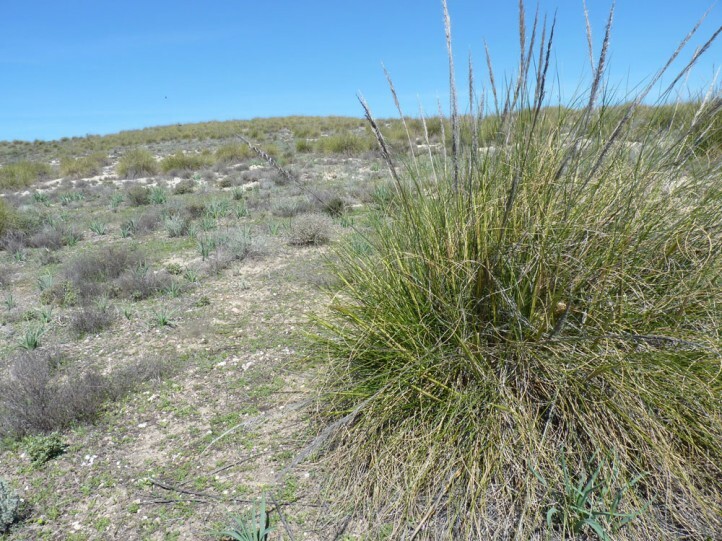 Coscinia romeii is endemic to Central and Eastern Spain.